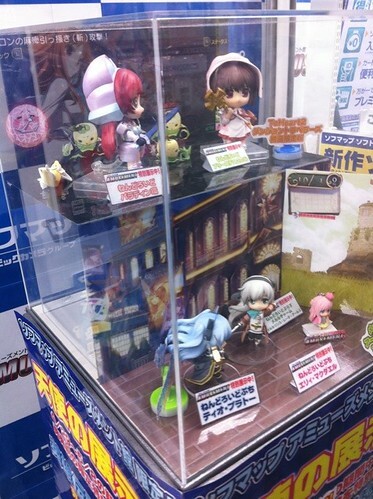 If you see the pic above, there are Nendoroid pair from PSP game To Heart 2: Final Dungeon Chronicles – Nendoroid Kosaka Tamaki and Yuzuhara Tomomi placed on the upper level of the display case. 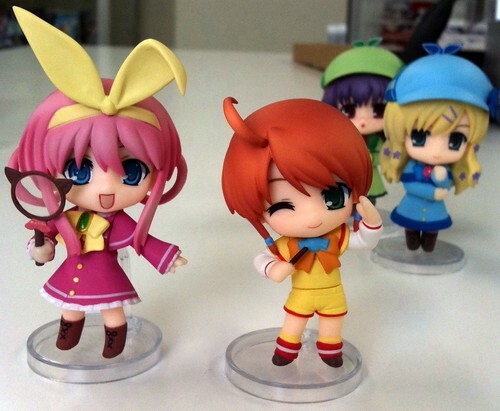 Meanwhile, the lower level contains the Nendoroid Petit duo from PSP game Eiyuu Densetsu: Ao no Kiseki – Nendoroid Petit Tio Plato and Elie MacDowell AND …. 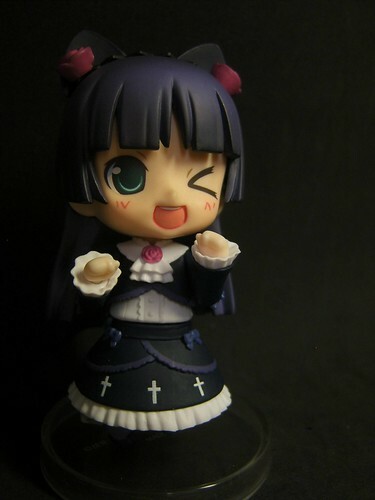 Nendoroid Plus Meruru from PS3 game Atelier Meruru. 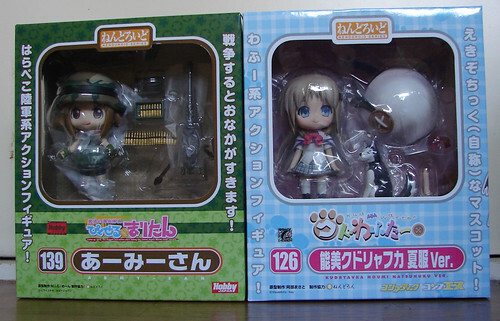 Do you remember Nendoroid Noumi Kudryavka (a.k.a Kud) from the visual novel series Little Busters! and Kud Wafter? Yes, she was previewed by Mikatan back then on September 2010 (and available for limited/exclusive pre-order since August 2010), and now she is finally released! 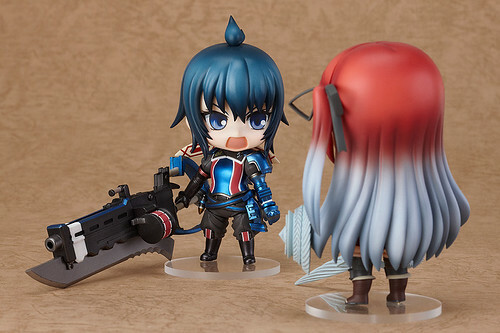 Apparently, some Japanese folks have already taking adorable pics of her with the newly-released Nendoroid Army-san as well. 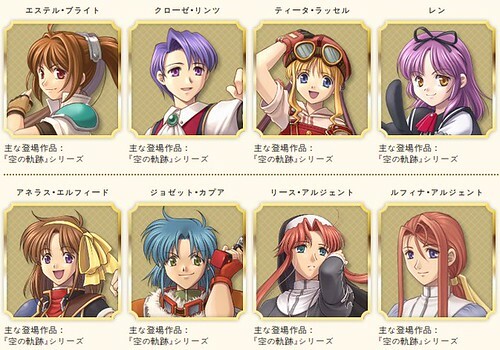 You don’t know what/who Nihon Falcom is? Well, they are a famous game developer company in Japan, who made Ys series and Eiyuu Densetsu (The Legend of Heroes) series. 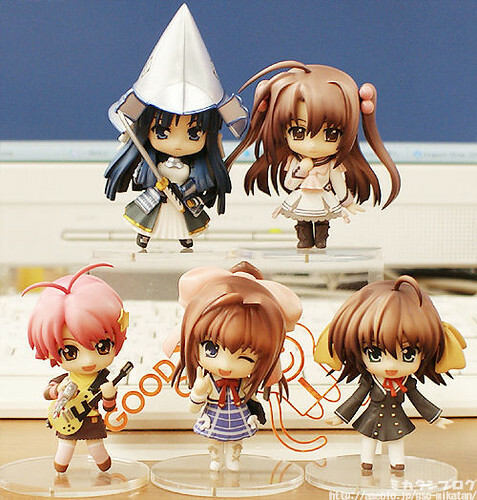 If you recall, they are currently having another partnership with GSC for their upcoming PSP RPG Eiyuu Densetsu: Ao no Kiseki, which is bundled with Nendoroid Petit Tio Plato and Ellie MacDowell.